Ambassadors for Catholic Relief Services drawn from parishes throughout the Archdiocese of Philadelphia held a retreat at St. Charles Borromeo Seminary Oct. 14-15, where they could pray, reflect, get to know one another and learn about the work of CRS from the lips of experts, including eyewitness accounts from the field. 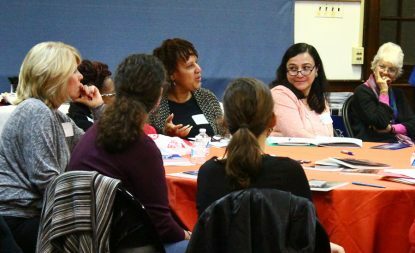 Twelve parishes sent representatives to the retreat, according to Cheryl Mrazik, relationship manager for the Northeast/Mid-Atlantic Region of CRS, and Anne Ayella, who oversees the program in the Philadelphia Archdiocese. 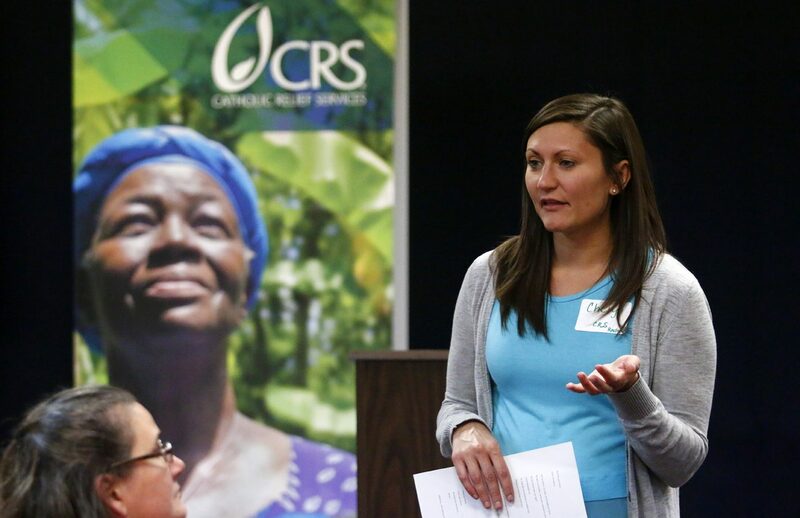 CRS, one of the most effective conduits through which American Catholics can participate in the corporal works of mercy as mandated by Jesus Christ, was established by the bishops of the United States to alleviate poverty around the world. Its original mission was to assist in recovery in Europe following World War II. The work continues in many areas now, mostly closer to home in our own hemisphere. At this point CRS is providing almost $750 million annually in relief, whether it is post-hurricane or earthquake, or simply day-to-day relief to the poorest of the poor. Much of its funding comes through government or other institutional grants, but it is the free-will donations of ordinary Catholics that make it a true charity and not simply a pass-through agency. A more recent way CRS is making Catholics in the pews aware of its vital mission to the poor is through the CRS Parish Ambassador Corps. 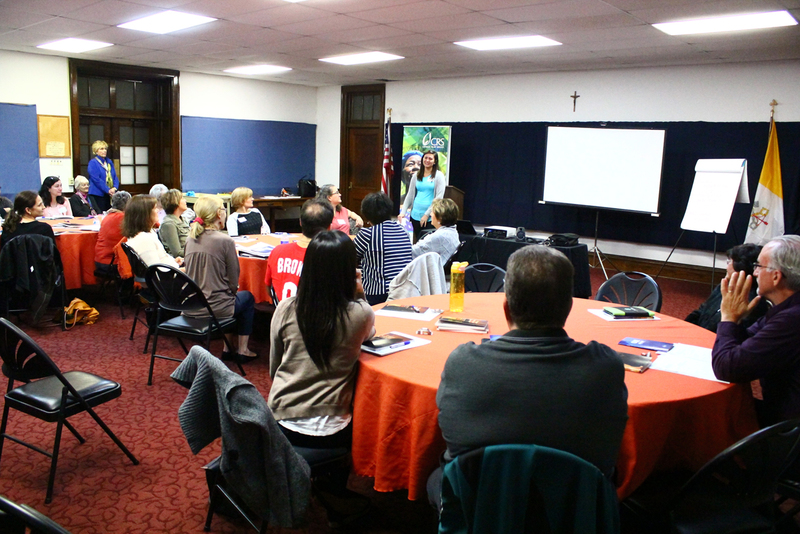 Recently introduced into the archdiocese, the program is now in 16 parishes and growing. The mission of the Parish Ambassadors is to encourage their parishes to respond to Catholic social teaching by engaging their fellow parishioners to participate in Operation Rice Bowl and other initiatives that arise. 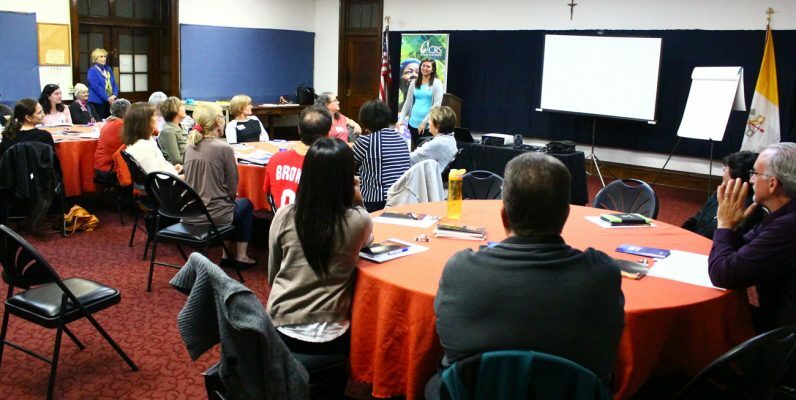 Parishes sending ambassadors to the retreat included St. Cyprian, Holy Redeemer and St. Raymond in Philadelphia; St. John the Evangelist, Lower Makefield; St. Vincent de Paul, Richboro; St. Maria Goretti, Hatfield; St. Philip Neri, Lafayette Hill; Mary, Mother of the Redeemer, North Wales, Sacred Heart, Manoa; St. Francis of Assisi, Springfield; St. Margaret, Narberth and St. Norbert, Paoli. Checking with several of the ambassadors who attended the retreat, the consensus was it was well worth the time spent. 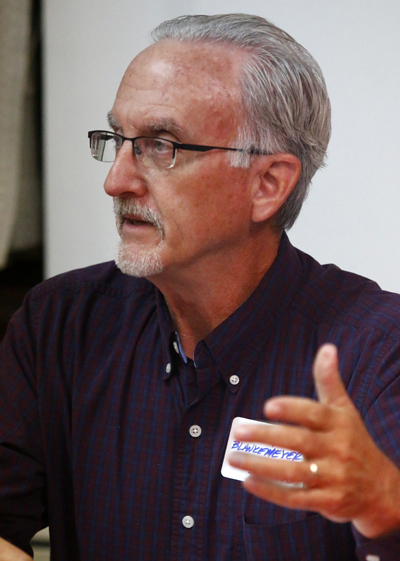 It was an exciting experience, according to Larry Blankemyer, an ambassador from St. Vincent de Paul Parish. Larry Blankemyer joins the discussion at the CRS training session. Putting words into action at St. Vincent Parish, through CRS’ Helping Hands initiative, parishioners will pack 10,000 meals for the hungry in Burkina Faso in November. 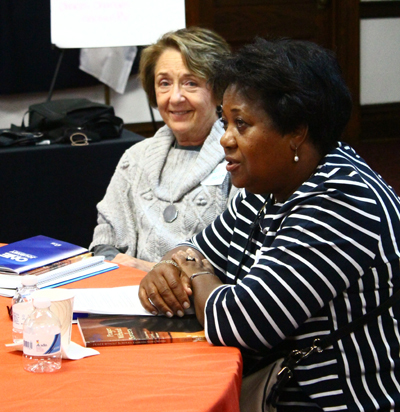 Yvette Palmer of St. Cyprian Parish also found the presented examples of the work of CRS enlightening. Parishes interested in establishing a Parish Ambassadors Corps should contact Cheryl Mrazik at cheryl.mrazik@crs.org.